Functional Neurology is a relatively new discipline that examines the connections and pathways between the human brain and the body. In the clinical setting, functional neurologists work with people to identify ways to reactivate those pathways by stimulating other parts of the body. 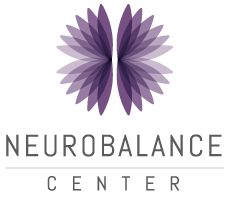 Functional neurology is rooted in the concept of “neuroplasticity.” Neuroplasticity refers to the brain’s ability to reorganize itself by forming new connections throughout a person’s life. The idea that the pathways between the brain and the body can be “rewired” is an exciting concept, especially for people who have suffered an injury or who are living with conditions that impact the way that the brain functions. Our specialist in functional neurology works with patients to assess brain and body function, including weaknesses in the nervous system. During the assessment, the specialist reviews a wide range of bodily function including eye movement, reflexes, limb movement and gait. The assessment may also cover skill strengths and weaknesses in areas such as speech and handwriting. Specialists in functional neurology see the nervous system as a dynamic, changeable entity, where the brain behaves like a muscle, adapting based on what it is asked to do.